(Fuzzy AHP; Fuzzy analytic hierarchy process) در مطالعات منابع آب کارستی استفاده شد. Considering Iran’s situation in drought risk area, in this study karstic waters are investigated. The study area is located in central of Iran, Semnan province. Several factors are important in Karstification and formation water resources in carbonate, among them important are petrology, topography, climate, geomorphology and hydrogeology are pointed out. In this research, the role of structural factors in the development of karstic water resources in Semnan province has been studied. firstly, information layers of each factor prepared. For example, tectonic elements, includes maps: lineament density, faults length density, faults intersection density and density distance from faults making use geological maps and processing of satellite images. Information layers analyzed in the geographical information system (GIS), Expert Choice Software making use geostatistical methods. In this study, multi methods like analytic hierarchy process (AHP) and Fuzzy analytic hierarchy process (Fuzzy AHP) used in study of karstic water resources. بهشتی‎فر، س.، 1389- استفاده از منطق فازی در محیط GIS به منظور مکانیابی نیروگاه های گازی، نشریه مهندسی عمران و نقشه برداری، دانشکده فنی، دوره 44، شماره 4، صص. 5 تا 583. چزگی، ج.، مرادی، ح.، خیرخواه، م.، قاسمیان، د. و روستایی، ی.، 1388- مکان‌یابی سد زیرزمینی به روش معیارهای حذفی با استفاده از GIS (مطالعه موردی غرب تهران). پنجمین همایش ملی علوم و مهندسی آبخیزداری ایران. زهیدی‌، ر.،1380- کاربردهای صنعتی منطق و شبکه‌های عصبی فازی‌، انتشارات انستیتو ایزایران، 288ص‌. 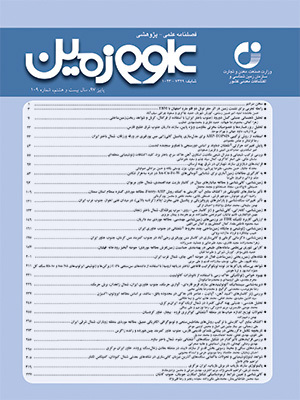 علیزاده، ا.، 1381- اصول هیدرولوژی کاربردی، چاپ پانزدهم، دانشگاه امام رضا (ع)، 735 ص. فرهودی، ر. حبیبی، ک. و زندی، پ.، 1384- مکان‌یابی محل دفن مواد زاید جامد شهری با استفاده از منطق فازی (Fuzzy Logic) در محیط GIS مطالعه موردی: شهر سنندج، نشریه: هنرهای زیبا . کاظمی، ر، غیومیان، ج. و جلالی، ن.، 1385- بررسی نقش عوامل ساختاری در فراوانی منابع آب در منطقه کارستی لار با استفاده از سنجش از دور و GIS، مجله پژوهش و سازندگی در منابع طبیعی، شماره 73، صص. 33 تا 43. Chang, B., Chang, C. and Wu, C., 2011- Fuzzy DEMATEL method for developing supplier selection criteria. Expert Systems with Applications, 38, 1850–1858. Kahraman, C., Cebeci, U. and Ruan, D., 2004- Multi-attribute comparison of catering service companies using fuzzy AHP: the case of Turkey. International Journal of production economics 87. Malczewski, J. 1999- GIS and Multi-criteria Decision Analysis, John Wiley and Sons Incorporated, PP.177-189. Yanar, T. A. and Akyu¨rek, Z., 2006- The enhancement of the cell-based GIS analyses with fuzzy processing capabilities. Journal of Information Sciences, Vol. 176, No 8, PP. 1067-1085.